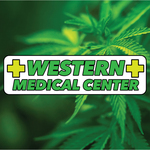 Western Medical Center is a leading medical marijuana dispensary serving LA patients. The mission of the dispensary is to help its patients get more out of life. Every customer is welcomed to enjoy the friendly and relaxing atmosphere and excellent services provided by proficient workers. The company offers a large assortment of goods, including not only flowers of various strains but also concentrates, drinks and edibles, so that each customer could find their personal medication that would help them deal with health problems. The dispensary believes that medical marijuana treatment is an important option to consider when conventional therapies fail to provide pain relief. At Western Medical Center, patients will find a caring and friendly environment with a knowledgeable staff available to help guide them in choosing the most effective mmj treatments.